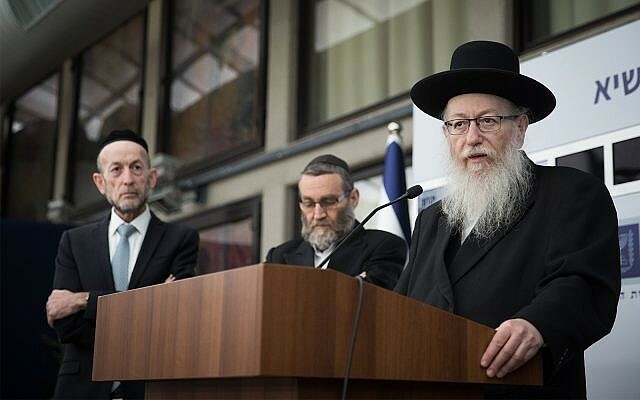 “There is coordination between the ultra-Orthodox parties to form a united front against (Avigdor) Liberman,” United Torah Judaism’s Moshe Gafni said, confirming reports of collaboration between his party, Shas, and the national religious slate, in an effort to combat the Yisrael Beytenu head’s demands for changes to the status quo on issues of religion and state. 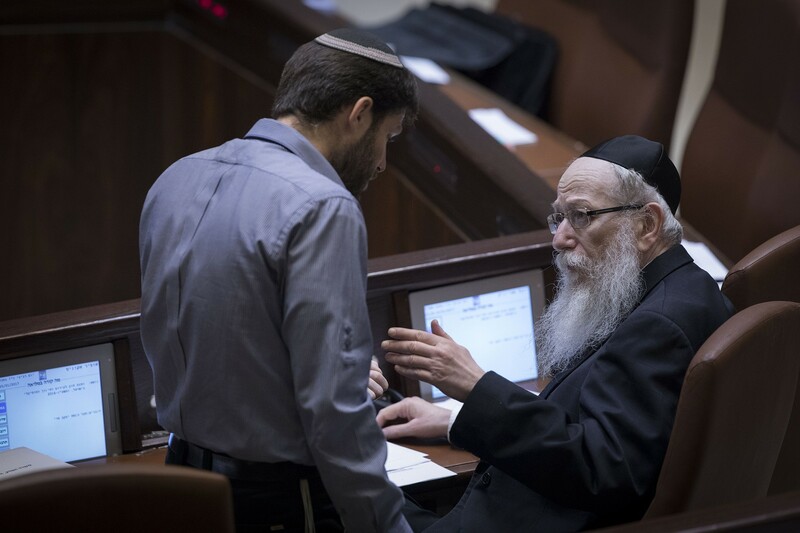 The move, confirmed to The Times of Israel by a URWP spokesman, is meant to serve as a countermeasure to the leverage Liberman is expected to wield during the talks given his party’s size of five seats in an expected right-wing coalition of 65. Liberman, whose base of supporters is largely made up of secular immigrants from the former Soviet Union, campaigned on opposing “religious coercion,” and supports public transportation and allowing mini-markets to remain open on the Shabbat in addition to ending the Chief Rabbinate’s control over marriage and divorce and passing legislation regulating exemptions to military conscription for ultra-Orthodox students. 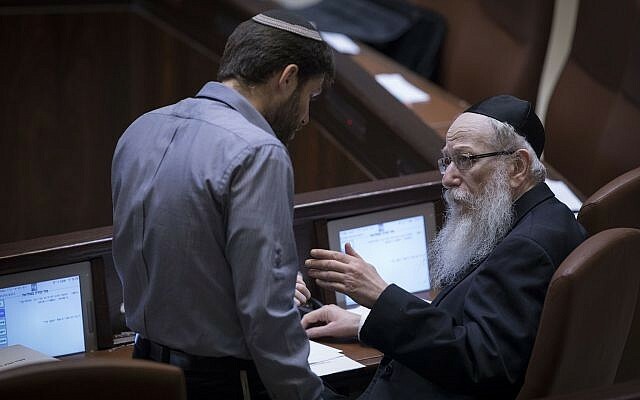 But it is exactly on these matters that Peretz told Shas head Aryeh Deri, whose party won eight seats, and United Torah Judaism leader Yaakov Litzman, whose party won seven seats, that they were all in agreement against Liberman, who has sparred intensely with the ultra-Orthodox parties on these issues. Peretz has said his party will demand the justice and education portfolios in coalition talks, likely a tough sell given the URWP’s relatively small number of seats.